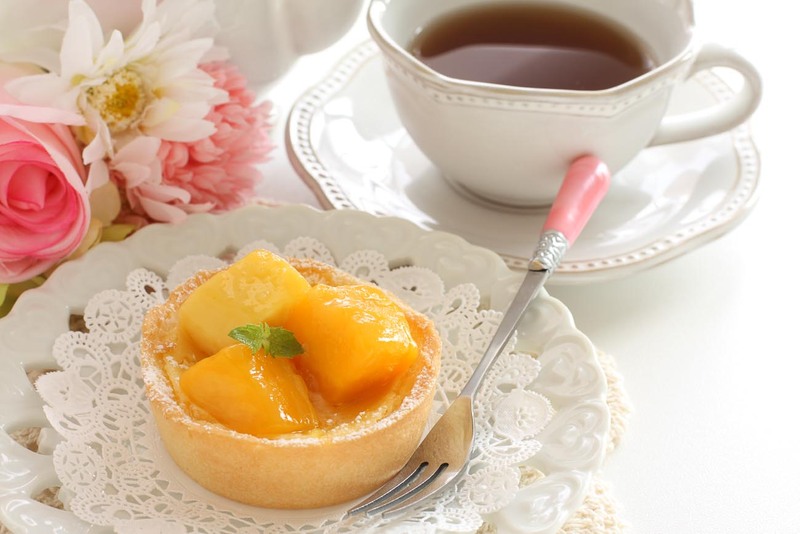 The Mango Custard Mini Tart is delectable and light dessert which is made from fresh alphonso mangoes. The dessert is light and fluffy making it a perfect dessert for Indian parties. The Mango Custard Mini Tart is delectable and light tart that is light and fluffy making it a perfect dessert for Indian parties. These cups are light, fluffy and served with delicately sliced fresh mangoes and a comforting vanilla custard sauce. The best part is these tart cups can be made a week in advance or stored in the freezer for a month and the custard sauce can be prepared a day in advance. Serve the Mango Mini Tart with Custard Recipe as a wonderful Dessert for your Special Dinner Meal. 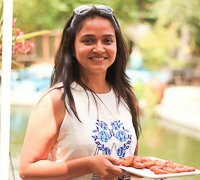 To begin making the Mango Custard Mini Tart Recipe, make sure you have all the ingredients made and ready according to the instructions - the Homemade Vanilla Custard Sauce and the prebaked Tart Cups (baked) arrange the baked tart cups in a tray. Arrange the baked tart cups in a tray. Stir in the cup of cut mangoes into the custard sauce and leave the remaining mangoes aside for garnishing. Fill up the tart cups with the custard mango mixture. Garnish with mint and mangoes and refrigerate the Mango Custard Mini Tarts for at least 2 hours before serving.